Buy Bee @ Quite The Novel Idea / Novel Ink a Coffee. ko-fi.com/beeqtni - Ko-fi ❤️ Where creators get paid by fans, with a 'Buy Me a Coffee' button. 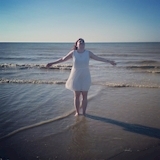 I'm Bee, a 27-year-old girl from Belgium who you can usually find on her blogs Quite The Novel Idea or Novel Ink. I loves books, movies and my boyfriend, whom I live with. I'm also pregnant of my first baby, which I expect in July. Welcome to my Ko-fi Page. If you enjoy my posts on my blogs, please consider buying me a coffee so I can continue to put out great posts and organize fun giveaways for all of you! Secured Payments. Support goes to Bee @ Quite The Novel Idea / Novel Ink's account. Upgrade Bee @ Quite The Novel Idea / Novel Ink to a yearly Gold Membership with a one-time payment.